Biotage Isolera Four ACI Accelerated Chromatography Isolation Flash . New Life Scientific, Inc. 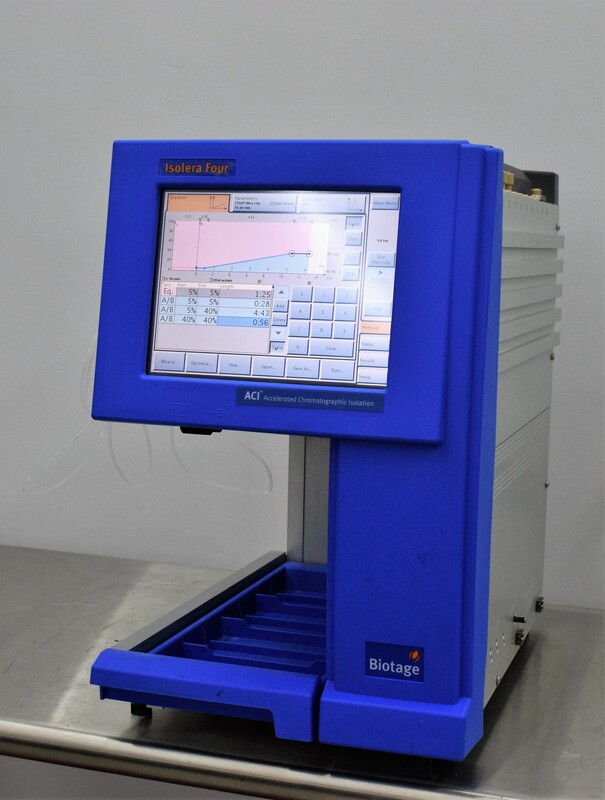 The Biotage Isolera Four was visually inspected by the New Life Scientific technician and it appears to be in good cosmetic condition with minor normal wear. The UV lamp will need replaced. The instrument initialized with no problems except the warning for the UV lamp to be replaced. Technicians were able to navigate the instrument's menu and reach the method screen. The buyer will need to supply any autosampler racks, tubing and any fittings needed. This instrument is warranted to be functional and is protected by our 90-day warranty.